Members enjoy buy one get one free on mains. Free unlimited tea and coffee when dining from the main menu. Visit Brewers Fayre for delicious, fresh and tasty food this spring. As a Possibilities member you can enjoy buy one get one free on main meals, as well as free unlimited tea and coffee when dining from the main menu. Try a twist on one of your pub favourites with our new Chip Shop Platter, Mediterranean Mixed Grill or Chicken Forestière. Room for pud? Treat yourself to our new Lemon Mousse with shortbread biscuits or Sticky Toffee Pudding with rich toffee fudge sauce. Perfect for any occasion, without having to worry about booking in advance. Menus that offer a huge variety of dishes, there's truly something for everyone to enjoy. Lighting, background music and temperature always set at the perfect levels. 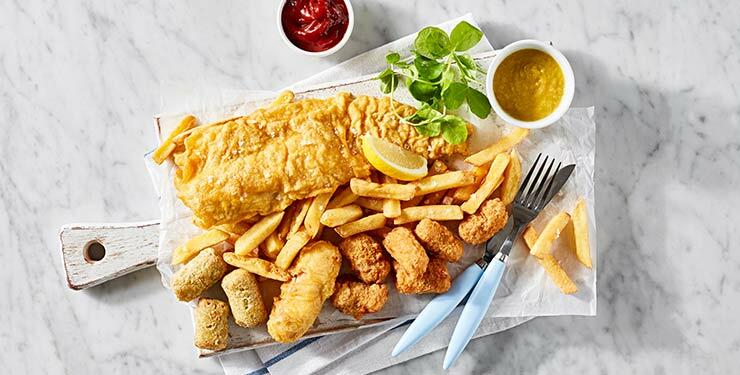 1) This offer entitles the holder to one free main meal for every full priced main meal purchased from our main restaurant menu at the same time from Monday 1st April to Thursday 9th May 2019. The cheapest meal will be free. 2) Only one code is required per party; maximum of 6 per party. 3) Drinks purchased will be charged at full price. 4) A minimum purchase of two main meals is required. 5) All set menus, The Daytime Value Menu, Sunday Carvery, Breakfast and the Premier Inn Meal Deal are excluded from this offer. 6) The code cannot be exchanged for cash, is non-transferable, must not be reproduced, copied, varied or used in conjunction with any other offers or the Whitbread Privilege card. It can be used in conjunction with loyalty points-based vouchers only but not Celebratory Offers. 7) All rights remain with the promoter who reserves the right to withdraw the offer at any time and without prior notice. The decision of the manager is final. 1) This offer entitles the holder to unlimited amounts of the following hot drinks with the purchase of a main meal at the same time: Americano, Latte, Cappuccino, Tea, Hot Chocolate or Espresso. 2) Only one code is required per party; maximum of 6 per party and can only be used once during the promotional period. 3) The Premier Inn Meal Deal is excluded. 4) This offer is valid from 25th October 2018 – 11th September 2019 inclusive. 5) The code cannot be exchanged for cash, is non-transferable, must not be reproduced, copied, varied or used in conjunction with any other offers or the Whitbread Privilege card. It can be used in conjunction with loyalty points-based vouchers only but not Celebratory Offers. 6) All rights remain with the promoter who reserves the right to withdraw the offer at any time and without prior notice. The decision of the manager is final.